UK based premium brand of the motorbikes Triumph recently launched the 2018 Triumph Tiger 1200 in India. 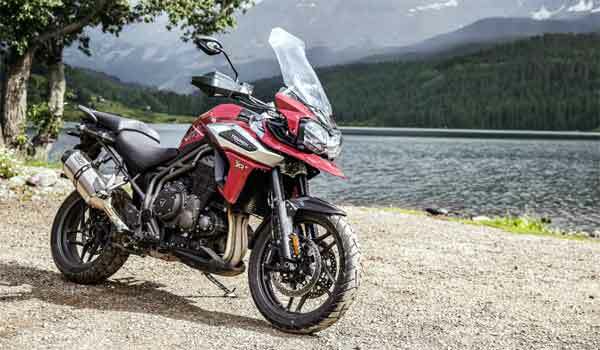 Triumph Motorcycles recently unveiled the upgraded 2018 Triumph Tiger 1200. However, Triumph launched only the XCX version in one version in India which commands a price-tag of Rs. 17 lakh. According to Triumph, this is the most advanced range of Tiger motorcycles ever after it first launched the Triumph Tiger almost 80 years ago. The bike comes with over a 100 new significant updates. 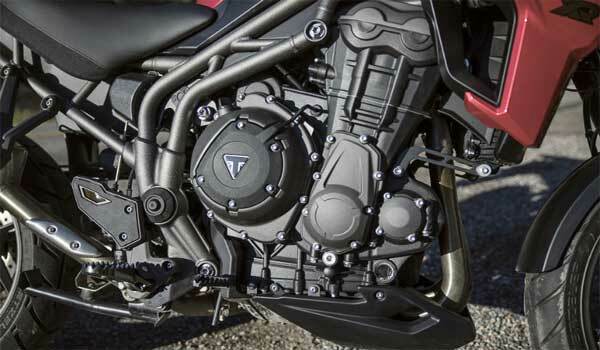 However, the 2018 Triumph Tiger 1200's engine remains the same as the earlier version. The power comes from the 1,215cc, in-line three-cylinder engine which delivers 139 bhp at 9,350 rpm and 122 Nm of peak torque at 7,600 rpm. The engine is mated to a six-speed manual transmission which comes with a bi-directional quick-shifter. The 2018 Triumph Tiger 1200 also gets electronically adjustable 48 mm WP upside down forks at the front, with 190 mm of travel. At the rear, there is an adjustable WP mono-shock which has a travel of 193 mm. The twin 305 mm disc brakes with Brembo four-piston calipers at the front and a single 282 mm disc with a Nissin two-piston caliper at rear carry out the braking duties. The 2018 Triumph Tiger 1200 weighs almost 10kg lighter than the earlier model. However, the XCX version is only 5 kg lighter than the earlier version. Triumph employed the weight-loss in the areas of chassis, engine and the exhaust system. Additionally, the Tiger 1200 now gets the Inertial Measurement Unit (IMU) along with upgraded electronics. This includes an optimized Cornering ABS, traction control, Hill-hold assist, and ride-by-wire technology. Besides, the XCX version offers five riding modes: Off-Road Pro, Road, Rain, Off-Road, and Sport. Also, other notable features include the new 5-inch fully digital instrumentation console, backlit switchgear, all LED lighting, adaptive cornering lights and an updated cruise control along with keyless ignition as well. The 2018 Tiger 1200 will take on the likes of the Ducati Multistrada 1200 and the BMW R 1200 GS.